is a complex system, often known as human chess, which allows a person to fully control other persons body and movements. 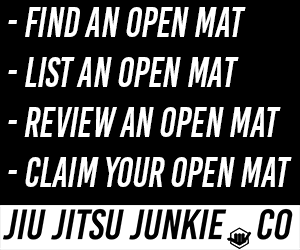 That positional control ultimately leads to submission, which is why you always hear “position over submission” over almost all Jiu-Jitsu gyms. Many of the techniques borrowed from Jiu-Jitsu have originated from various other martial arts, such as Lutre Livre, Catch as Catch Can and wrestling. But a huge amount of techniques are adapted from the Japanese Martial Art, Judo. One of those techniques is a position which has seen an incredible rise in popularity, especially in NoGi grapplers. That position is known as the Ashi Garami. In Judo this is considered one of the 4 forbidden techniques, due to the risk of potential injury this position can cause. But what is the Ashi Garami? And how can you implement this technique into your own grappling game? Translated as “leg entanglement”, the Ashi Garami position is all about that. This is a control position, which involves controlling one of your opponent’s with both of yours. Normally using a reaping position to keep an opponent’s leg bent. In Jiu-Jitsu, this position can be very powerful, as it opens up numerous options for leg lock finishes, one of the most popular one being the heel hook. These days the Ashi Garami has become more of a system for leg entanglements rather than a position itself. So let’s look at some of the key positions. The standard Ashi Garami is one of the most common positions you’ll see of the leg entanglement system. This position is one of the most common positions when looking to attack a straight foot lock. Normally the outside leg will be pushing on the opponent’s hip, while the inside leg looks to dominate the inside space through driving the knee or foot across the hip line. When your opposition stands, it is also commonly known as the Single Leg X-Guard. The second most common position in the Ashi Garami game is the 50/100 position. The 50/100 is actually a transition from the 50/50 position. In the 50/50 both competitors have an equal chance of dominating their opponent’s low half of the body as either opponent has their inside leg going from the inside out, across the hip line. The 50/100 position has one person dominating the other person’s hipline. It is called the 50/100 because one person is attacking one leg with two of their legs. Both the 50/50, 50/100 and Single Leg X-Guard are all legal under IBJJF rulesets. The Inside Ashi Garami is one of the most well-used positions in the modern Jiu-Jitsu game. Made popular by members of the Danaher Death Squad the Inside Ashi is one of the most dominating leg entanglement positions in the Jiu-Jitsu game. To get the inside Ashi Garami is relatively simple, simply bring your outside leg across the hipline so you are reaping your opponent’s knee. Once you have this position you can drop to your inside hip to keep the knee bent to the outside. Then you can look to hook your opponent’s leg for the Leg Knot position. This position is extremely popular for people who enjoy finishing with the outside heel hook as the position already bends then knee, easily exposing the heel. The 411 position is named so because of the triangled leg position after entering the Inside Ashi Garami. After reaping your opponent’s knee you are looking to lock that leg in place with a triangle leg. The 4 represents the triangled legs while the 11 represents your opponent’s individual legs. There are many other positions in the Ashi Garami game, such as the Rear Ashi Garami and The Grounded Kani Basami, but the four we discussed above are the most popular positions when looking at Ashi Garami fundamentals. As a controlling position the Ashi Garami is king. Once you have your legs fully entangled the submission can come fairly quickly if you know how to apply them properly. Below we will go into 4 of the most popular finishes from the Ashi Garami positions we discussed above. The first finish is one of the most common, especially from the Single Leg X-Guard and the 50/100 position. Start by overwrapping your opponent’s controlled leg with one of your arms. Once you have the leg controlled down at the Achilles area, you will need to turn down towards the foot and connect your hands together. Once your hands are connected bring your hands towards your chest while applying pressure to your opponent Achilles. If the resulting pressure is not enough to get the tap, use your feet on your opponent’s hips to drive off of to create considerably more pressure. The kneebar position is a great finisher from the Ashi Garami. From the starting point, there are a few ways you are able to get this position, but we will go over one of the most common ways. From the Ashi Garami, you are looking to sit on your opponent, as you sit on your opponent keep your legs connected, which will sit you into reverse Ashi Garami. From reverse Ashi, you are looking to isolate the leg you have entangled. Once the leg has been isolated, control the leg by grabbing onto the ankle and sitting off your opponent to the outside. The toe hold is another devastating submission from the Ashi Garami. This position comes commonly from a failed knee bar, where you were unable to readjust your hips to hyperextend the knee. From the kneebar position, you will want to figure four your hands around your opponent’s foot so you are bending your opponent’s ankle inwards. As you bend your opponent’s foot, aim to drive that foot back into your opponent, aiming to stick it up their own bum. The pressure from this position should be enough to get the tap. The final submission is one of the most dangerous submissions in grappling, the Heel Hook. Depending on your Ashi Garami position, you will either be attacking the inside or outside heel hook. If you’re attacking from an Outside Ashi Garami position, you will be attacking the inside heel hook, from an outside Ashi position, the outside heel hook is applied. To apply and finish either the inside or outside position is very similar in its application. To apply to heel hook, first, you must expose the heel. To do that, the best way is to clamp down on your opponent’s toes using your armpit and triceps. When the toes are clamped down the heel with automatically raise up, thanks to body mechanics. With the toes clamped you want to then scoop up the heel with the forearm on the same side. Once scooped, connect your hands and stretch away from your opponent, while rotating the heel towards the knee. A quick tap should happen, so get ready to release it quick. In conclusion, if you want to get good at the modern footlock game, the Ashi Garami is going to be your main goto system. John Danaher has created an entire system around all of these positions, so get studying.